IES partners with individuals, businesses, and communities in Colorado to clean the water you drink and the air you breathe. IES solves environmental problems. We provide the crucial link between sound information and effective action by taking science out of the lab and applying it to real world environmental problems. 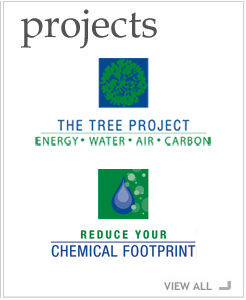 Our approach to environmental problem solving is objective, practical, and cost-effective. By maintaining our commitment to science and collaborating with people of different interests and perspectives, IES finds lasting solutions for Colorado’s environment. IES solves environmental problems. Our proven approach to project management breaks the gridlock of traditional, regulatory processes and prevent unexpected, unwanted side effects. Program success requires sound initial planning. IES prepares a project plan that includes the scope of a pilot project, timetable, cost estimate, and partners for each project. We then use our stakeholder advisory process to finalize project scope, time, and budget. With peer review and stakeholder input, IES oversees and implements the project plan. A summary report includes quantitative and qualitative results to back our conclusions and recommendations that outline a full-scale implementation plan. Project completion includes preparing communication materials for information transfer. We arrive at our environmental solutions by taking into account all potential environmental impacts along with resource use and cost feasibility. As a result, our solutions do not solve one environmental problem while causing another, and are not cost prohibitive. IES takes science out of the lab and into the real world to provide the crucial link between sound information and effective action. IES conducts independent research to build a broad base of objective information at the outset of our projects. We work with the project committees to define the scope of our research and finalize goals. IES backs all recommendations with sound, scientific data collection, statistical analysis, and modeling. Our solutions are also supported by quality assurance and quality control processes. IES applies independent, objective science to environmental challenges through high-quality, multidisciplinary research and a commitment to transparency. IES is committed to remaining independent and objective. We back our results with sound science and will never be influenced by politics or donor agendas. IES is not a membership or advocacy organization – we serve as a neutral investigator in assessing environmental problems and creating solutions. IES ensures meaningful stakeholder participation through research collaborations, workshops, and committee organization. IES identifies, engages, and convenes all appropriate stakeholders early in the project. We bridge communication gaps among business, government, and community stakeholders affected by environmental challenges and initiatives. Too often, well-intended environmental initiatives fail because key stakeholders are not included in the design phase and therefore do not support implementation. To remedy this, IES identifies and involves key stakeholders during a project’s design phase to develop outcomes acceptable to all. IES convenes Stakeholders throughout our projects. Through stakeholder meetings, stakeholders participate in setting the scope of our work, designing strategies for success, encouraging support for the solution, and evaluating every phase of our projects. Steering Committee – The “Board of Directors” for the project guides the project and establishes goals, objectives, and project design. Peer Review Committee – Scientific experts review technical documents and publications. Stakeholder Advisory Committee – IES convenes stakeholders in workshops to disseminate information and to gather recommendations.